The story of Moses receiving the 10 Commandments is an easy one for preschool children to understand. It emphasizes that God gave us commands that He wants us to follow. Use a craft to reinforce this simple lesson with your preschoolers. Pre-cut pieces of gray paper so they are curved at the top to look like the tablets Moses wrote the 10 Commandments on. Give each child a piece of the gray paper. Give each child a black crayon. Do not use markers as young children can be messy with these. 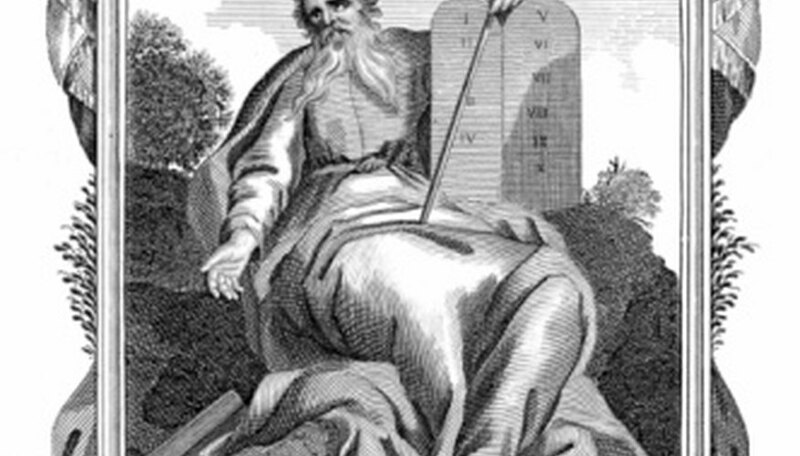 Tell the children that Moses had to "write" on stones with a sharp object when he wrote the 10 Commandments, but they are going to use the crayon. Explain that God told Moses the laws and Moses wrote them down on the tablets. Talk about the different commandments, explaining what each one means in terms a preschooler can understand. Let the children draw a picture to represent one of the commandments such as a mom or dad for "Honor your Father and Mother." Let the children be creative with their pictures and what they think represents the commandments.